You may have been waiting for just this listing. Vintage Mendocino home with shingle siding, wood interior, open floor plan and vaulted ceilings. Located on almost four level acres in the sunbelt east of Mendocino Village. End of road privacy in an area of nice homes. Includes a one bedroom guest unit for use by family, friends or for extra income. Large clearing provides plenty of space for outdoor activities and miles of hiking trails are nearby. Entire property is fenced and gated for privacy and to keep deer out (or let them in if you like). 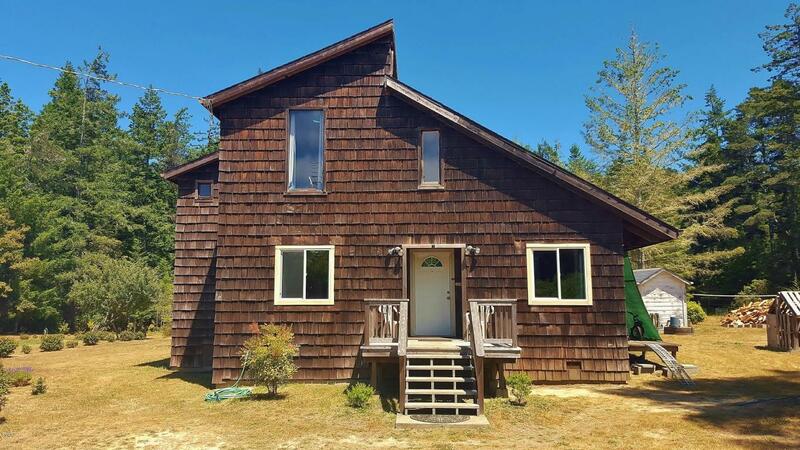 This property provides all of ingredients for an awesome Mendocino home; convenient and desirable location, large level parcel with open meadows and trees, easy access, and lots of sun. Just add your own update ideas. Come and get it!